Town Council meetings are generally held on the first Monday of every month (excluding Bank Holidays). Meetings are normally held at 7.00pm in the Meeting Room, with additional meetings held as necessary. Parish Council meetings are generally held on the second Tuesday of October, January, April & July. Meetings are normally held at 7.30pm, with additional meetings held as necessary. NWAS volunteers supporting Silloth and surrounding areas. The group meets on the first and third Tuesday of the month. For more information check out their Facebook page. If you’re interested in becoming a volunteer with the NW Ambulance service check out the website. The Luncheon Club meet on Monday of each week except Bank Holidays, providing lunch for the elderly. Pop along for lunch and a natter. 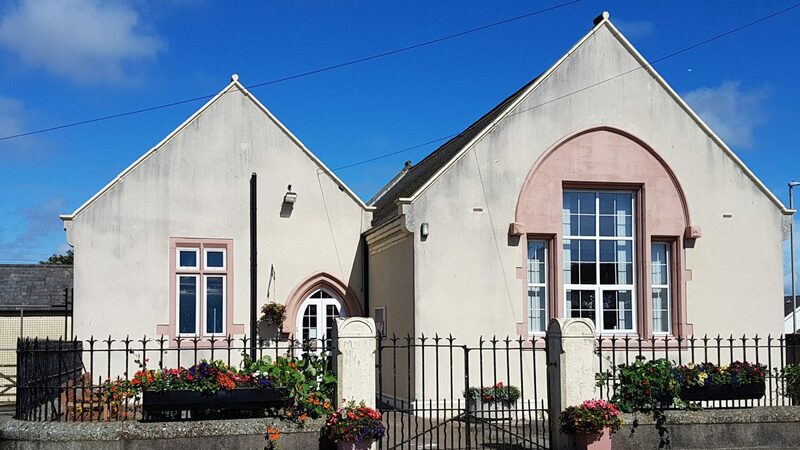 Ladies of the Causewayhead WI hold their monthly meetings in the Community Hall. Details can be found on the calendar page. Meetings of STAG are generally held on the second Monday of each month at 7.00pm. The Natwest Bank mobile van visits once a week which is on Fridays from 9.50am to 11.00am outside Silloth Community Hall. Silloth Vintage Rally takes place in June of each year and the committee have their meetings in the Community Hall during the year to organise and prepare for the event. For more information check out the website at www.vintagerally.co.uk and Facebook page. Silloth Carnival takes place in August of each year and the committee have their meetings in the Community Hall during the year to organise and prepare for the event. For more information check out the Facebook page. The group works for the enhancement, maintenance and use of Silloth Green. Meetings are held in the Community Hall, as and when required. If you’re into crafting, then why not pop along to the Community Hall on Monday mornings at 10.00am. Bring your knitting, crocheting, sewing or whatever craft you’re currently doing, to exchange ideas, chat and have a cuppa. You’re more than welcome. If you’re interested in taking up a new hobby, there is China Painting group who meet in the Community Hall each Friday from 2.00pm to 4.00pm. You are welcome to pop along. Meeting in the Community Hall on Mondays from 5.30 to 6.30pm during term time. Silloth Youth Club is open on a Monday and Wednesday from 6 till 9pm. It’s only 50p a night and they have 2 pool tables, darts, x box, Wii, 2 sitting areas to watch television, board games, cards and table tennis. All children from Secondary school to 19 are welcome. The Youth Club hut is located within the grounds of the Community Hall and is behind the building.